Make the right tyre choice. Find out all you need to know to make the right tyre choice with our report and test results. We explain the types of tyres available and provide tips on making your tyres last longer. Snapshot: The Achilles 122 (175/65 R15) is a symmetric tyre with a speed rating of 190km/h. But how well does it corner and brake in the wet and dry? Snapshot: The Achilles 122 Ecotech (175/65 R14) tyre has a speed rating of 210km/h. But how well does it corner and brake in the wet and dry? Snapshot: The Achilles 122 Ecotech is a symmetric tyre with a speed rating of 210km/h. But how well does it corner and brake in the wet and dry? Snapshot: The BFGoodrich Advantage T/A Drive is a symmetric tyre with a speed rating of 210km/h. But how well does it corner and brake in the wet and dry? Snapshot: The GoodYear Assurance TripleMax is a symmetric tyre with a speed rating of 210km/h. But how well does it corner and brake in the wet and dry? Snapshot: The Goodyear Assurance Triplemax is a symmetric tyre with a speed rating of 270km/h. But how well does it corner and brake in the wet and dry? Snapshot: The Goodyear Assurance TripleMax is a symmetric tyre with a speed rating of 240 km/h. But how well does it corner and brake in the wet and dry? Snapshot: The Achilles ATR Sport is a directional tyre with a speed rating of 270km/h. But how well does it corner and brake in the wet and dry? Snapshot: The Falken Azenis FK510 is an asymmetric tyre with a speed rating of 300km/h. But how well does it corner and brake in the wet and dry? Snapshot: The Yokohama BluEarth-A AE50 is an asymmetric tyre with a speed rating of 270km/h. But how well does it corner and brake in the wet and dry? Snapshot: The Yokohama BluEarth AE01 (175/65 R15) is a symmetric tyre with a speed rating of 210km/h. But how well does it corner and brake in the wet and dry? Snapshot: The Yokohama BluEarth-Es ES32 is a symmetric tyre with a speed rating of 210km/h. But how well does it corner and brake in the wet and dry? Snapshot: The GT Radial Champiro 228 is a symmetric tyre with a speed rating of 210km/h. But how well does it corner and brake in the wet and dry? These are the tyres you'll find on most new cars and many others up to 10 years old. They're suitable for all types of road use. Some premium tyres come with a "road hazard warranty". Typically, you get free puncture repairs or your tyre replaced with a new one if it is damaged beyond repair in normal use within 12,000km or 1 year. 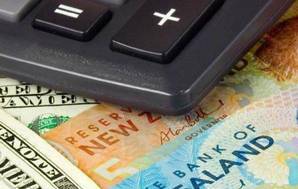 Budget tyres are cheaper, but that doesn't mean they're unreliable – all tyres sold in New Zealand have to meet a standard (the US DOT standards are commonly used). However, they may not have quite the tread life, cornering ability or road-handling performance of premium tyres. If price is all-important, look for a new budget tyre rather than a used import. That way you avoid the risk of driving on old unsafe tyres. These tyres are designed for high-performance cars to improve handling and steering response, as well as give shorter stopping distances. They usually have a "low profile" – the sidewall height is no more than 60 percent of the width. But if they have a very low profile, unless your car has been designed to use this type of tyre, they are likely to reduce the ride comfort and increase road noise. Some tyres are one-directional which means they're designed to be fitted to the car so their tread pattern faces a particular way (often marked with an arrow on the sidewall). They're usually high performance tyres. For example, asymmetric tyres must be fitted with the side marked “out” facing out, and “in” facing in. 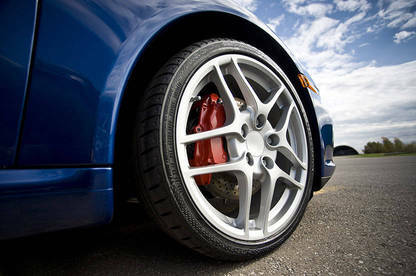 Fitting them on the wrong side may affect the car's handling and wet road grip. If you use one, be aware that your spare only fits one side of the car. If you have to use it on the wrong side, drive carefully and only until you can replace the damaged tyre. The tread pattern may be symmetric or asymmetric. There are also non-directional asymmetric models that are designed to be fitted to the rim so that a particular side (marked on the tyre's sidewall) faces outwards. With these, the spare can replace any of the other tyres. Used snow tyres are found on some Japanese-import used cars, and are also imported and sold by used-tyre dealers. Snow tyres are easily identified: they have a characteristic block pattern (pictured right). Recent snow tyres often have a snow symbol on the sidewall (inset). If you're in any doubt, ask a tyre dealer to check. Snow tyres should only be used where they are needed - in alpine areas during winter. They should always be used in sets of 4, and replaced before they get old and worn. Never mix snow tyres with normal tyres, even in matched pairs on 1 axle. If the spare is a snow tyre, only use it at low speeds. Better still, have a normal tyre fitted. 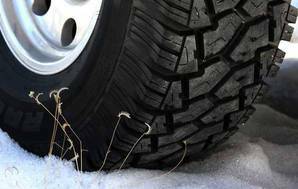 4WD vehicles often have M&S (mud and snow) tyres fitted. These are suitable for all-season road use, as well as for mud and snow. But it's still best practice to fit M&S tyres in matched sets of 4. Note that snow tyres for cars are often rated M&S. Once the preserve of high-end sports cars and boy racers, low-profile tyres are increasingly being fitted as standard equipment or offered as an upgrade option. But are they right for your car? Many carmakers offer their vehicles with two or three different wheel sizes within a range, typically increasing the wheel size and decreasing the tyre profile for higher trim-levels. The theory is a wider contact area generally improves roadholding and braking, while a shorter sidewall is stiffer and deforms less during cornering, which in turn sharpens steering response. It’s not just performance though, some people simply prefer the look of low-profile tyres – a larger wheel size can give a sense of sportiness or prestige to a vehicle. Our roads can be rough. Driving in New Zealand, you are less likely to roll smoothly on tar-sealed Euro-style highways and more likely to rumble over coarse chip-seal roads. Your tyres, an integral part of your car’s suspension system, are on the frontline when dealing with humps, potholes and other road irregularities. As tyre profile reduces, so does the tyre’s ability to absorb and cushion bumps, which results in a less comfortable ride. Additionally, the chance of your tyres, wheels and other components suffering impact damage increases. Fitting after-market wheels and tyres of a different size to those specified in your owner’s manual may upset your car’s balance and can potentially be dangerous. Altering your tyres’ overall diameter can affect the calibration of your speedometer and odometer. If you want bigger wheels and low-profile tyres, we advise seeing a tyre specialist. A car fitted with low-rolling-resistance tyres will require less force to roll down the road, so they’ll be more fuel efficient than standard tyres. Most tyres grip well in the dry. It’s the combination of good wet grip and low rolling resistance that’s more difficult to achieve. The top tyres in our test tend to have better wet grip and lower rolling resistance. We don’t test for tyre wear, because of cost. And there are no other reliable indicators. Some tyres have a tread-wear rating on their sidewalls, but local tyre-makers say the ratings often have little relevance to New Zealand conditions. And long-lasting tyres may not be a good thing. The US consumer organisation Consumer Reports says tyres that last too long may pose a safety risk, because rubber-compounds deteriorate with age. Some major car manufacturers have recommended throwing away tyres after 6 years, regardless of wear. Tyres are usually date-coded, so a tyre dealer can work out if a tyre is really old. In New Zealand tyre wear is fairly rapid, so 6-year-old tyres aren’t common – except for imported second-hand tyres. If long life is your priority, ask your tyre dealer for a model with a good tread life. Just be aware that long tread-life and good grip don’t always go together. Choosing a tyre with a short stopping distance could avoid accident and injury if your worst nightmare happens. Our “Average stopping distances” tables show the difference in metres between the best and worst in some of our tests. Each tyre has standard markings that allow you to pick the right type for your car. It’s a confusing mix of letters and numbers, and of measurements in mm and inches. Here’s what it all means. P Passenger tyre (not always shown). 185 The tyre width (across the tyre) in millimetres when fitted to the correct rim and inflated. A larger number means a wider tyre. 65 The profile or aspect ratio. In this case, the height is 65 percent of the width. 14 Rim diameter (inches). This can be metric, but very rarely. 86 A load index, which allows you to calculate the maximum load from a table. Tyre dealers have copies. 86 means this tyre can support a maximum load of 530kg. Not always shown on older tyres. H The speed rating. This is the maximum speed the tyre will withstand at the rated load, in this case 210km/h. Speed ratings are typically from Q (160km/h) to Y (300km/h). Retreads have the speed rating removed, but those made to NZS 5423 are capable of speeds of at least 100km/h. Older tyres may have the figures and letters in a different order (185 SR13) but they mean the same thing. Use the size and speed ratings when checking prices, to ensure you are comparing like with like. Replacement tyres should always have the same or better ratings. What’s the use of all this info? To keep the tyre grip evenly balanced when cornering, a car must have the same size and type of tyre on the left and right wheels on an axle (and usually the same size all round). Marking the size means WOF inspectors can easily check that your car has the right-sized tyres. It also helps you. When you’re looking for the best price on a replacement tyre you need to be able to quote the size (and sometimes the load and speed ratings). The triangle on the sidewall points to a small bar in the tread grooves, which shows the minimum tread depth. The letters “TWI” or the maker’s logo are alternative sidewall markings for the indicator. Standard markings can reveal the tyre’s origin. All tyres (except some Australian-made ones) should have at least one of these marks. E = European, plus an approval number. DOT = American, plus an approval number. NZS 5453 = New Zealand Standard for locally made tyres (though tyres are no longer made in New Zealand). There may also be information about the construction: number of plies and ply material, tubeless rating and information about suitable uses, or how to correctly mount the tyre (see Directional tyres, above). To get the most even performance, it’s best to replace car tyres as a set of four. But if cost or convenience make this unrealistic, there are some simple rules. Replace a single tyre with the same type and size (a different brand is acceptable in an emergency). Don’t mix an old cross-ply type with a radial, or a steel belt with a fabric-belt tyre on the same vehicle. This can make the vehicle too difficult to handle safely and is against the law. Put the tyres with the best grip on the rear. If you lose grip, it’s easier to control an understeer than a rear-end oversteer. WOF rules say you can fit tyres that are no more than 5 percent larger or smaller in diameter (so replacing tyres up to 20” diameter with tyres 1” larger or smaller is fine). If they are wider, the tread must not extend outside the body panels and the vehicle’s track (the distance between the centreline of tyres on an axle) must not vary by more than 25mm. Anything bigger in diameter or width will require a modified certificate. We’ve changed how we report tyre prices, removing dollar amounts and, instead, listing the price as low, mid or high. Our low-mid-high categories are based on each particular tyre size. For example a high-price 165/R14 tyre may be less expensive than a low-price 225/R18 tyre. Most tyres we test are mid-priced ‘Premium’ models suitable for most consumers. However, in most sizes we also list some high-price ‘Performance’ and low-price ‘Budget’ tyres. Where possible buy tyres with good grip and low rolling resistance (see rolling resistance) – this means you’ll get the best of both worlds. 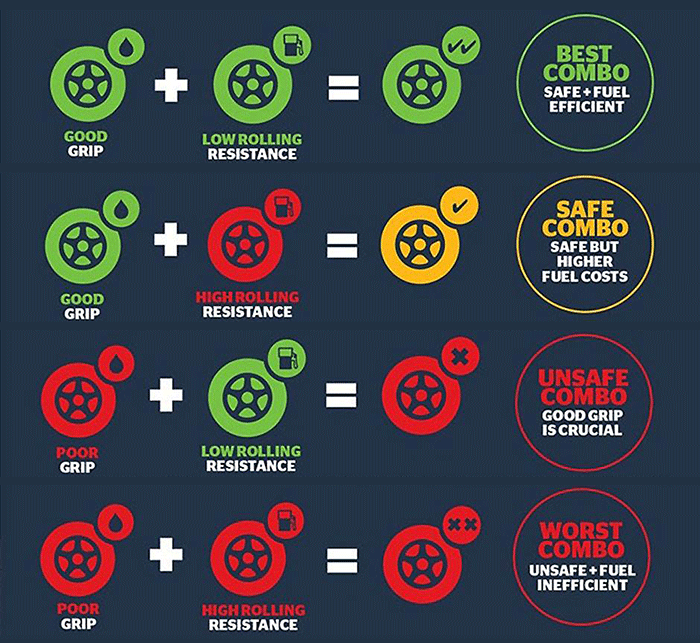 Ask your tyre retailer which tyres meet these criteria and look for the EECA ENERGYWISE approval mark for fuel-efficient tyres. If the tyre size you need isn’t covered by our tests, look through the test results and note which brands and models do well in sizes close to the one you need. One of these models would be a sensible choice. Phone around. During our surveys we find large variations in tyre prices. Retailers running specials were able to sell some models around $100 cheaper per tyre than others. Haggle for the best price using quotes from other fitters. Consider the total price of your new tyres. Quotes for tyre prices should include fitting and balancing cost, but also ask about wheel alignment – you might get this offered at a discounted rate. If you are shopping for budget tyres, it might be worth paying a little more for Premium tyres that come with a road hazard warranty. Tyre prices can be difficult to find online – most fitters will only offer a quote in person or over the phone. But check websites such as hyperdrive.co.nz who offer a wide range of tyres with online prices that include local fitting. Since April 2010 if you need snow tyres, they must be fitted to all wheels of the vehicle. They also must have a minimum tread depth of 4mm – more than twice the 1.5 mm depth for normal tyres. This change was brought about by the deaths of 4 people in accidents involving cars with snow tyres fitted only to the rear wheels. Tests later showed this combination was highly unstable in certain conditions. We called in 2008 for the rule to be changed and fortunately there have been no further deaths as far as we know. We think snow or winter tyres should only be used in the conditions they’re designed for: on snow and ice in winter. Some users get exceptional distances out of their tyres. How? They look after them. A 20 percent drop in pressure (from 26psi to 21psi) increases the rate of wear by 20 percent. Severe over-inflation also causes wear, but a 10 percent increase has a very small effect. Underinflated tyres can reduce fuel efficiency by up to 4 percent. As well as wearing faster and using more fuel, soft (under-inflated) tyres have an unstable hold on the road. And if your tyre pressures are uneven (with different levels of inflation), you could end up out of control on a corner. Keep the pressures at the manufacturer’s recommended levels, and remember to adjust upwards for heavy loads or prolonged high-speed driving. You should be able to find the manufacturer’s recommendations in your car’s handbook, or on a sticker that’s often on or near the driver’s door. Otherwise, ask your car dealer or a tyre company what the recommended levels are. Buy your own gauge. Petrol station gauges are often inaccurate. And don’t forget to check the spare. Have the wheels balanced and aligned when you fit new tyres. Have the alignment checked if you have a severe impact with a kerb or very large pothole or rock, or notice wear and/or feathering of the edges when you check your tyre pressures. Go gently through bends and avoid heavy braking. It’s normal for front-wheel-drive cars to wear the front tyres more rapidly. Rotate the tyres every 10,000km to even out the wear. The legal minimum is 1.5mm in all principal grooves around the circumference of the tyre (it used to be 1.5mm of tread over 75 percent of the tyre). The tread wear indicators will guide you, or you can use a tread-depth gauge to keep track. They cost around $10. Tyre dealers usually do free checks. If your tyres are wearing rapidly or unevenly, or if the steering pulls to the side, have the wheel balance and alignment checked (cost: usually around $70). Now that WoF periods have been extended for many cars, it’s important to keep up car maintenance. For a quick DIY car safety check go to www.nzta.govt.nz/checkyourcar. The trouble with 4WD is that tyres designed for serious off-road use do not usually perform well when braking on wet roads, and will also wear out more quickly if regularly driven on hard surfaces. Given the cost of 4WD tyres – $200 to over $500 – it’s well worth thinking about. Tyre companies offer a compromise: 4WD tyres designed for the road. They don’t have the macho tractor-tread look and won’t be so useful in the mud, but they’ll last longer and give better braking on wet tarseal. However, if you drive a 4WD that never leaves the road, you still need tyres that are designed for the vehicle. That’s usually because of the extra weight involved. When buying, it’s useful to know 4WD tyres frequently have their sizes measured in old fashioned inches. The alternative is metric – the same way as car tyres. Yes, it just adds to the confusion! 31 The overall diameter (31 inches). Not always shown. 10.50 The tyre width (across the tyre). 4WD tyres often show this in inches (10.5) when fitted to the correct rim and inflated. A larger number means a wider tyre. It could also be metric, and include the profile (eg 265/70). LT Light truck, includes 4WD. Not always shown. M/S Mud and snow. Can be M+S. 109 The load index. 109 means this tyre can support a maximum load of 950kg. Q The speed rating, in this case 160km/h. 10PR The ply rating. Shown as an alternative to load index and speed rating on older designs. Some car models have an emergency space saver instead of a full-size spare wheel. If you have to use it, follow the instructions on the safety label which should be on the wheel. The NZTA has imposed a speed limit of 80km/h, which is marked on the label. You’re supposed to drive on it only for a short distance - to get yourself home or to deliver the car to the nearest tyre fitter. Keep it pumped up tight to the pressure marked on the label or tyre. This is usually around 60psi or 420kPa. They are safe only when used at the right pressure, which is usually at least twice that of a normal tyre. Used within the guidelines, they are safe. Running them too soft or too fast can be dangerous. If you would rather have a proper spare, and you want to keep your costs down, check the wreckers’ yards. You may be able to pick up a cheap rim (we’ve seen them for $30 to $50) and then get a good second-hand tyre put on it. Make sure it will fit your hubs and the spare wheel well. Watch those emergency repairs as well. “String repairs”, where a length of stringy material is forced through the hole from the outside, or sealant repairs (injected through the tyre valve) are not permanent. Both are done without removing the tyre from the rim and are not safe for long-term use. If you get one of these done, you should have the tyre taken off the car and fixed properly as soon as possible.